Learn a different approach to validate the washing machine and depyrogenation tunnel. 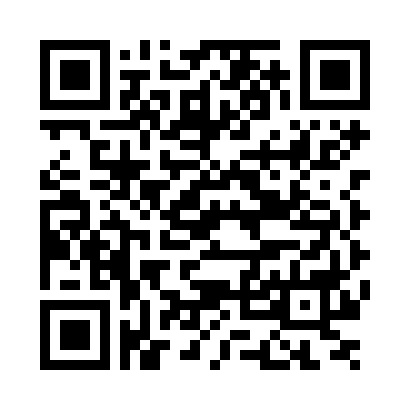 The current economic situation has determined in the pharmaceutical field an increase of cost control necessity. This situation, joined with the difficulty of developing new molecules with both traditional streets with the latest generation (R&D outsourcing, biotechnologies) is putting under pressure all those activities that apparently does not lead to a gain, but rather, but are the cost for the company, like equipment validation and/or revalidation. This pressure, if not properly channeled, can lead to the belief that these activities are ends in themselves and generate only paper without any real benefit to the company in terms of knowledge of the process (knowledge in its broadest sense and not just in the act of production but also, of all that is ancillary to it and placing on the market). In addition to the above, very often you get the impression that these activities are an obstacle to the production or transfer of a product, and therefore some companies are bound to something required by law, but nothing more. To break this situation, the only weapon available to the people involved in the validation / revalidation is to understand machine by machine, plant by plant and process to process, which are the critical variables and real work on them leaving out all those that are not important to the quality and therefore can be managed in accordance with cGEP. Example of what validation is indicated in the introduction of a washing machine for vials and a tunnel. The one that takes longer and involves a larger number of business functions is the verification of the performance. In the case of a washing machine, is the effectiveness of the internal washing of the bottles while in the case of a depyrogenation tunnel is the effectiveness of depyrogenation of bottles: for both the test the acceptance criteria is at least 3 log reduction of the initial contamination. If we consider that all pharmaceutical vials used for the parenteral drug can be assimilated to the vial in figure 1, it is possible to perform some consideration explained in the following paragraph. Taking into consideration the washing of vials, you could group all the bottles in groups associated with the size of the cups that are connected and, for each group, define a wash cycle (time of spraying, the water quantity) that reach the criterion with the bigger internal surface of the bottle. 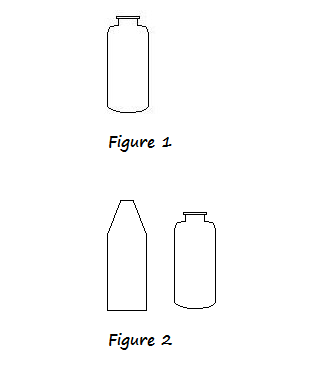 Once validated the cycle according to the validation protocol (generally with three replicates) for the bottle with larger surface, will be automatically "validated" all the other bottles having a less internal surface because, if the cycle does not change and even the storage conditions of the bottles, there are not a technical reasons to say that the cycle is not able to obtain the same results with a bottle whose surface is found to be lower. • 1 (formats with a bigger internal surface)*3(standard replays number) = 3 tries. with a savings of 80% (execution time and analysis). If you do not want to use the same sequence (spray time and quantity) for all fluid bottles for economical reasons, the concept could still be re-subdividing all the bottles associated with the same format of the glasses into several groups and performing tests on the bottles with the internal surface increased for each cycle. After defining the cycle and determine the time of spraying and the amount of water for each needle, what will be repeated annually is just checking these last 2 variables without having to repeat the test of cleaning performance every year. This approach (effectively wash cycle for the bottle having the bigger internal surface) allows in some cases to avoid the validation test on the issue of a change for the transfer of a new format, running only a check of the areas. This can then reduce the response time for the entry into production of a new format. A similar argument can also be done on the depyrogenation tunnels where very often there are as many cycles as there are formats in use. What is to be determined in this case, is the mass of glass that must be heated until the conditions of depyrogenation are reached. With the external diameter and the mathematical rules it is possible to determine how many bottles are in a designated area of the tunnel. With this number and the average weight of the bottles is possible to define the mass of glass that must be pyrogen free. Studying the cycle can get the conditions for depyrogenation vial with the higher mass of glass, in the same area, it is possible to extend it (the same cycle) to all others vial with lesser mass (the geometry of the bottles being homogeneous for all sizes as well as the type of load on the same tape, the influence of the exchange surface and the penetration of heat can be considered the same in all cases and then hold down the tape speed, operating temperature and air velocity, the only variable that can influence the depyrogenation appears to be the mass of the bottle itself). To avoid problem with productivity, it is possible to divide vials according to filling speed and consequently define a depyrogenation cycle. As for the washing machine, this approach can avoid making the validation cycles if, at the same cycle, the mass of depyrogenating glass is lower than the one used as a reference for that size / cycle. These examples can show how the economic needs are not always negative for the validation activities, the important fact is to know the processes and analyze the variables that are really critical to quality of the drug that leaves out what, until now, patterns have been established by previous experience and financial resources / different time. Greatfull knowladge please provide tunnel D.Q.